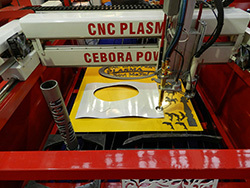 This is intended primarily for small and medium enterprises with the need for cutting sheet metal and panels. 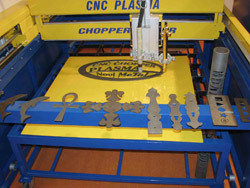 The cutting process uses air plasma and the cutting and torch route is computer-controlled. The work task is defined by the AutoCAD or Corel Draw programs thus the shape and dimension depends entirely on the customer needs. 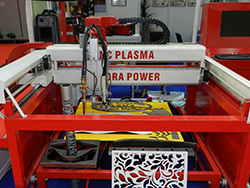 Further, this is also intended for single or small-scale production. 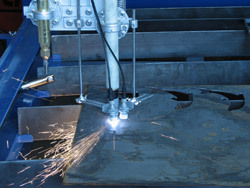 Virtually all types of metals, steel, inox, brass, aluminum, fire resistant steels can be cut with a great degree of precision and productivity with a minimal production of residue. 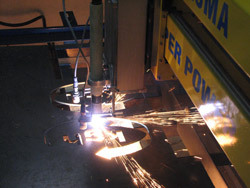 The work station is equipped with automatic height control when cutting. 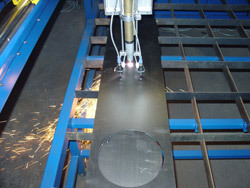 Depending on how we choose the degree of strength of the plasma aggregate metals from 0,8 to 30mm can be cut. 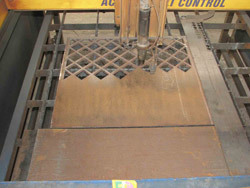 The standard sizes of work stations are 1000x1000, 1000x1200, 1500x2000, 1500x2500, 1500x3000 mm. 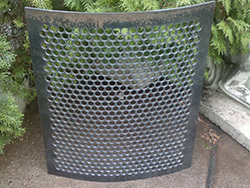 Besides the listed sizes, we manufacture larger formats on demand.